Enjoy a romantic breakfast, lunch or dinner at one of these excellent Calgary, Canada eateries which serve delicious seafood, perfectly cooked steaks, vegetarian cuisine and everything in between. Our list features restaurants serving food inspired by the region which utilize only the freshest local ingredients, as well as Italian, French, Indian, Brazilian, Thai, Greek, Spanish and other cuisines from around the world. 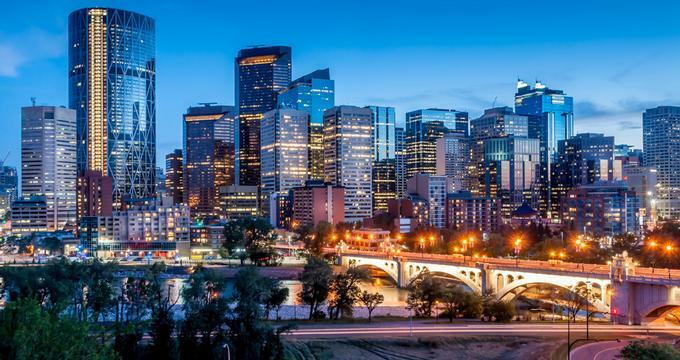 Here are the best restaurants in Calgary, Canada. Open Range is a relaxed Southwest-style steak and chophouse serving Alberta-raised beef, lamb, and game. Dive into incredible eats such as the Bison Enchilada (with smoked sundried tomato, white cheddar, and salsa verde), Elk Ribeye (with roasted poblano, sweet corn cotija twice baked potato, and red pepper jelly), or Beef Tenderloin (served on a pearl onion wild mushroom ragu with black truffle gravy). They also have an extensive wine list. Restaurateur power couple Chef Dwayne Ennest and his wife Alberta opened Open Range in 2016. It is located on the eastern edge of the Calgary’s Crescent Heights neighborhood. The award-winning Market restaurant serves dishes made from fresh, sustainable, locally-sourced ingredients, including some from their own internal home garden. Your taste buds will appreciate tasty dishes like the Pork Belly Sandwich, Lingcod, Duck Tacos, or Gnocchi Romano. This family-owned and operated business was founded in 2013 by restaurateur, Vanessa Salopek, and her partners Janet and John Salopek. Co-Executive Chefs Sean MacDonald and Alex Edmonson man the kitchen. Market is located in downtown Calgary, just down the street from Tomkins Park. Ship & Anchor Pub is one of Calgary’s most popular and diverse watering holes, and they have something for everyone. Treat yourself to delicious pub fare such as the Pork Scalopline BLT, Prawn Spaghetti, Beet & Goats Cheese Salad or a Pizza. Some vegan options are also available, as is a gluten-free menu. Enjoy live music while sipping on one of several local and imported beers on tap. Owner James Ballantyne first opened Ship & Anchor in 1990, and it has remained a favorite amongst Calgarians ever since. You will find it on the east side of the Lower Mount Royal neighborhood. River Café is a unique, elegant rustic restaurant that serves seasonal Canadian cuisine, including many unbelievable meat options. Stop in and try the Wood Grilled Pacific Octopus, Mountain Creek Bison Striploin, or the Studo Farms Winter Squash Terrine. Or grab a bite to eat at their weekend brunch and try a dish like the Eggs Benedict with Bison Bacon. They also have an impressive wine list. Founder and Proprietor Sal Howell opened River Café in 1991; Chef de Cuisine, Matthias Fong joins her in the kitchen. 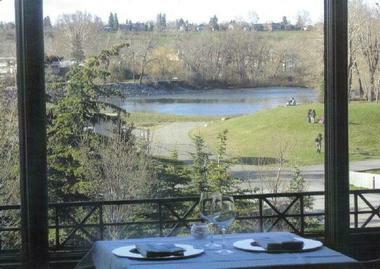 This beautiful eatery is located on Prince’s Island Park on Bow River. 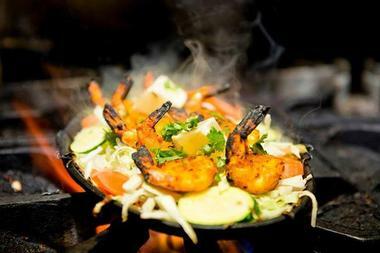 Clay Oven is an East Indian restaurant that serves classic Punjabi cuisine in a cozy, casual setting. Treat yourself to extraordinary, bold, flavorful dishes such as the Beef Vindaloo Chicken Biryani, Aloo Gobi, or one of their Saffron Spiced Rice dishes. Char Cut is a chic restaurant that serves farm fresh, urban-rustic cuisine with Italian and Country French accents – all made from locally sourced ingredients. Plan a romantic dinner to celebrate your birthday, anniversary or another special occasion. Dive into unbelievable, chef-driven eats such as the Pulled Rotisserie Chicken Sandwich (with wild boar bacon, aged cheddar, and Piri Piri aioli), Country Sausage Slow Cooked with Caramelized Onions on a Bake Brioche Roll, or Ricotta Gnocchi with Wild Mushrooms and Grana Padano Cheese. 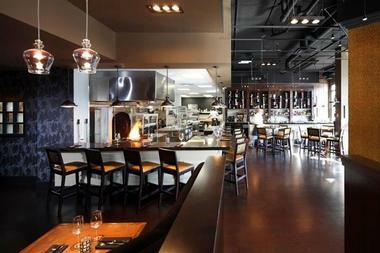 Co-owners and co-Chefs John Jackson and Connie DeSousa opened Char Cut in 2010. The menu changes daily at stylish Roast House, which is located in the Le Germain building downtown near the Calgary Tower. OEB Breakfast Co. is one of Calgary’s most popular breakfast spots, and all of their eats are natural and locally sourced. Treat yourself to divine dishes such as the Scramble Buckwheat Crepe, Banana Cream “Pie” French Toast, or their famous Soul in a Bowl. All of their eggs come from their own free-range chickens, and all the potatoes are cooked in organic duck fat. Award-winning Chef Mauro Martina’s long-lived dream of opening a popular breakfast eatery became reality when he opened OEB in 2012. Find this fun morning hangout not far from Calgary’s Bridgeland Park. 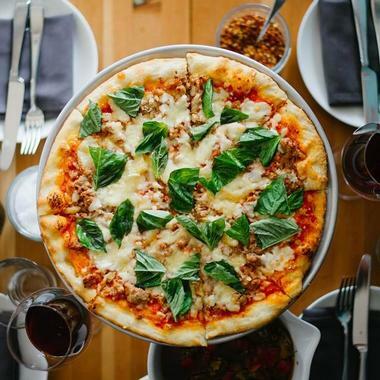 Una Pizza + Wine is a popular restaurant that specializes in Californian-inspired thin crust pizzas and Mediterranean-influenced cuisine. Stop in and try a Walnut-Stuffed Persian Date, The Beltline Pizza (double-smoked bacon, fennel sausage, smoked mozzarella, and maple syrup), or The Californian. Una also offers a weekly special pizza pie, and they have a nice selection of wines and vegan, vegetarian, and gluten-free options are available. Owners Kelly Black and Jayme McFayden opened Una Pizza + Wine in 2010, and they also own its sister restaurant, Ox and Angela. You will find this fun pizzeria nestled in the heart of the Beltline neighborhood. Minas Brazilian Steakhouse serves authentic Southeast Brazilian cuisine and specializes in Brazilian open BBQ known as rodizio. You can’t go wrong with their savory Churrasco-style meats, Minas Pao de Queijo (cheese bread), or traditional Feijoada (a long-simmering authentic Brazilian signature dish made with black beans). Master Head Chef Jose Montes owns and operates Minas Brazilian Steakhouse, which first opened in 2015. The restaurant is named for the Brazilian state Minas Gerais. 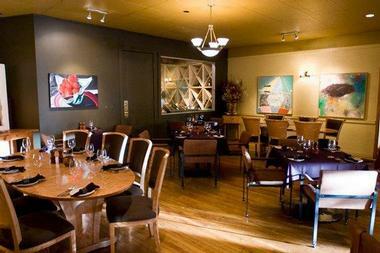 Visit this sophisticated eatery in the heart of Calgary’s Eau Claire neighborhood. To get a taste of Italy in Calgary, check out the pies at GAGA Pizzeria. Try their signature Signora Gaga Pizza (spinach olives, prosciutto, bucconicini, and figs) or the Mamma Mia. They also have delectable sub sandwiches like the Trio Italiano. And save room for baklava! GAGA’s name is a nickname given to Chef (and owner) Safeta Zedjic by her husband. They opened the joint in 2012. Enjoy a slice or a whole pie in this casual pizzeria located in the heart of Calgary’s Beltline community. Cassis Bistro is a charming eatery offering flavors from the south of France with local influences in a warm, friendly atmosphere. Enjoy spectacular specialties such as the Croque Monsieur, Butternut Squash Ravioli, Tarte A L’Oignon, or Pork Belly Rôti. Several French and Canadian wines are also available, and they are perfect for pairing with their delicious dishes. 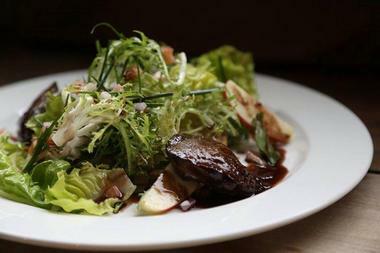 Cassis Bistro was first opened in 2011 by Aix-en-Provence-born restaurateur and owner, Gilles Brassart. Brittany native Executive Chef Dominique Moussu joins him in the kitchen, along with Head Chef Jean-Philippe Charpentier. 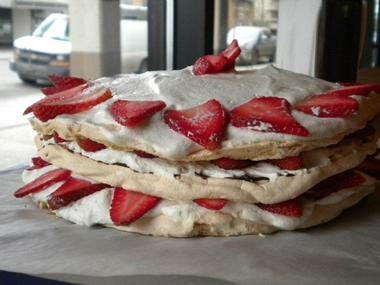 Enjoy Cassis Bistro for brunch, lunch, or dinner at Casel Marché in downtown Calgary. 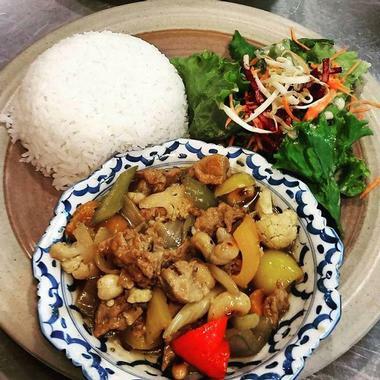 Hearts Choices is a fabulous café serving vegan and vegetarian Thai cuisine in a charming and friendly setting. Stop in and try the Tom Kah Pak (a spicy, tangy coconut soup), Bamboo Basil Stir Fry, or the Sweet Ginger Tofu. 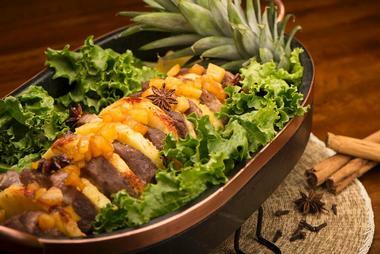 Bangkok native, Chef Tippawadi “Nan” Thammanatr brought a long-lived dream to fruition when she first opened Hearts Choices retail store in 2011 and began selling specialty vegan and vegetarian Thai foods. In 2014, she expanded her business to include the Hearts and Choices Café. 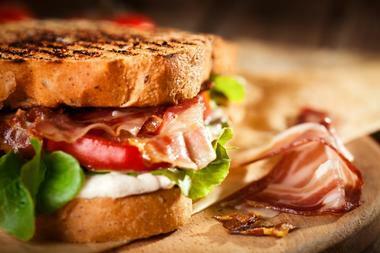 Taste her passion-laden foods today at The Brick Plaza, located between Calgary’s Haysboro and Acadia neighborhoods. 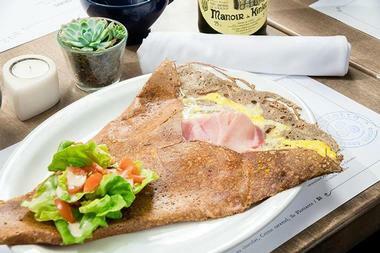 Suzette Bistro is a new, hip French restaurant that specializes in dishes from the north of France. You can’t go wrong with exquisitely prepared dishes like the Paysanne (local farm bacon, roasted potato, and sautéed mushrooms), Moules Frites, or Cuisse de Poulet (Sunworks Farms chicken leg marinated in garlic and rosemary). 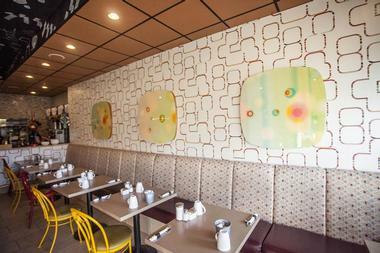 Suzette Bistro opened earlier in 2015, and is owned and operated by the same gang from Cassis Bistro – managing partner, Executive Chef Dominique Moussu, restaurateur, Gilles Brassart and his wife Andrea, and Head Chef Jean-Philippe Charpentier. Visit them at Suzette, located in the Mission community. 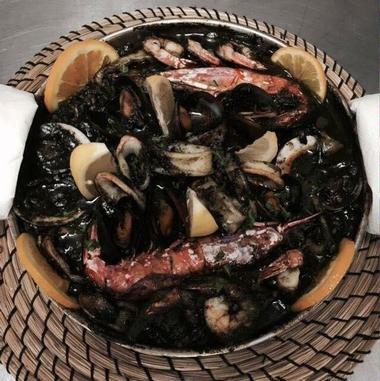 Santorini Greek Taverna offers some of the best and most authentic Greek cuisine in town, and everything is served in a very friendly and welcoming setting. Stop in and try the Ketethes (Greek meatballs), Spanakopita, or the Papoutsakia (stuffed zucchini with beef and Bechamel sauce). A fine selection of Greek beers and wines are also available. Chef and owner Andreas Nicolaides, his wife Maria, and their three children have been running Santorini since they opened the joint in 1986. Enjoy a taste of Greece at this lovely tavern located in the heart of downtown Calgary just down the street from SAIT Polytechnic. For a powerful culinary experience, check out the chic NOtaBLE The Restaurant, where they serve extraordinary contemporary Canadian cuisine in a casually refined setting. Enjoy phenomenal dishes made from fresh, locally sourced ingredients, such as the Seared East Coast Scallops (with grilled romaine, double-smoked bacon, and caper dressing) or the Alberta Beef Tartare. 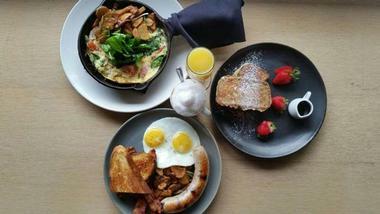 Or stop in for brunch and try the NOtaBLE Skillet. Wine, beer, and cocktails are also available. The restaurant’s name is a twist on the owner’s name, world-renowned, award-winning Chef Michael Noble, who opened the place in 2010. You will find this restaurant in the heart of the community of Montgomery. Dine in elegance at Q Haute Cuisine restaurant, which serves seasonal French- and Mediterranean-influenced dishes, all made from locally sourced, sustainable ingredients. Dive into exquisitely prepared dishes like the Free-Range Bison Tenderloin, Pan-Seared Brome Lake Duck Breast, or Pheasant & Pistachio Terrine. An impressive wine list is also available, and it features many selections perfect for pairing with dishes. They also offer an incredible Chef’s Tasting Menu. Acclaimed Chef Michele Aurigemma opened Q Haute Cuisine earlier in 2015. Enjoy stunning views of the Bow River while your senses are tantalized by Aurigemma’s creations at Q, located in Eau Claire Park. Las Canarias serves scrumptious, traditional Spanish cuisine in a setting designed to look like an Old Spanish bodega. Enjoy authentic Spanish tapas and flavorful dishes such as Tortilla Española, Salpicon de Marisco, Pato Confitado (a duck confit dish), or Cordero a la Riojana (a slow-cooked lamb shank). Friends Florin Serban and Spanish restaurateur Claudio Tarano opened Las Canarias earlier in 2015. You will find this charming eatery in Calgary’s Royal Oak community. La Brezza Ristorante is one of the city’s most popular Italian restaurants and actually resides in the owner’s former house. Enjoy the intimate setting while dining on tasty dishes such as Mama’s Angela’s Broccolini & Sausage, Linguini Mediterranean, Bistecca Peppe, or the Penne Con Salsiccie. They also boast a fine selection of wines. 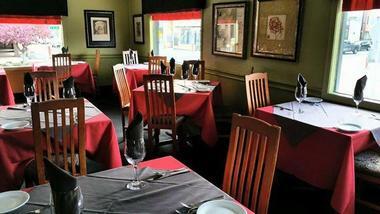 Owners Marco Abdi and his wife Filomena opened La Brezza Ristorante in 1987, and Filomena’s mother Angela fills the role of chef in the kitchen, (which explains the traditional, homemade Italian eats). Visit this lovely family at their charming restaurant located in Bridgeland near the Bridgeland/Memorial Station. Julius Caesar’s Steakhouse & Lounge has been a favorite eatery amongst Calgarians for decades, and with their award-winning beef specialties, it’s no wonder. You can’t go wrong with incredibly delicious dishes such as the Barbequed Baby Pork Back Ribs, Steak Diane, Lobster Tails, or the Chicken Almandine. 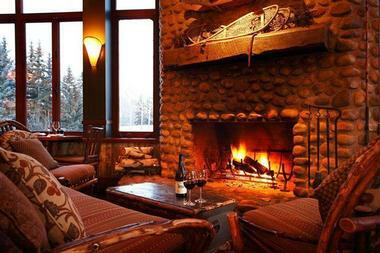 They also have a full bar and an award-winning wine list. Julius Caesar’s has been owned and operated by the same families since it was founded in 1972. 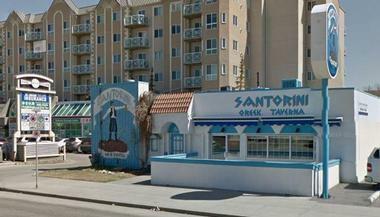 Currently, George Kaketsis, Gerry Stuart, and Connie Giannoulis operate this popular restaurant. Enjoy the retro-style setting at this scrumptious steakhouse with two locations: Downtown and in Willow Park. 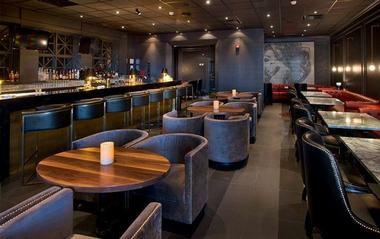 Downtownfood (DTF) is a modern bistro serving regional cuisine with an international twist. 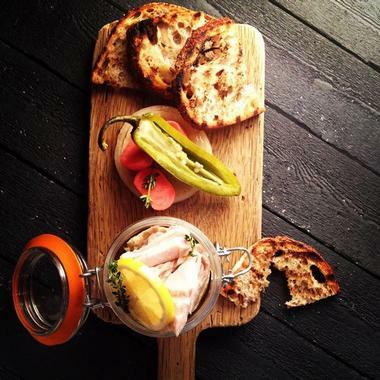 All their dishes are made from locally sourced and even self-grown ingredients. Savor amazing dishes such as the Spot Prawn Ceviche, Broeck Acres Pork Belly, Roasted Kuri Squash, or an elk steak. A fabulous Chef’s Tasting Menu is also available, as are beer, wine, cocktails, and spirits. Restaurateur Chef Darren MacLean opened the restaurant in 2012. It has Calgary’s first rooftop, eco-driven garden with solar powered drip irrigation. Check it out – and the incredible eats – at Downtownfood, located in the heart of Downtown Calgary not far from the Calgary Tower. Next Read: 25 Best Things to Do in Calgary. OEB Breakfast Co., Photo: OEB Breakfast Co.